A 2-part meeting is being arranged to visit our two sites in the Usk Inlier on Wednesday 20 February. We meet at our Cefn Ila site at 10:30am and spend a couple of hours undertaking more clearance work carrying on from our first rainy visit in December with the support of the Woodland Trust. Please bring a picnic lunch. We then move onto the Cilwrgi site where we will be meeting Lesley Cherns of Cardiff University and representatives from Prescoed Prison to assess what work needs to be undertaken on this designated SSSI. We may do some initial work time permitting. Both sites have a common interest in being on the Wenlock Limestone. So all in all, weather permitting, a full and interesting day. The directions to get to Cefn Ila – GRID REF SO 363217 200391. 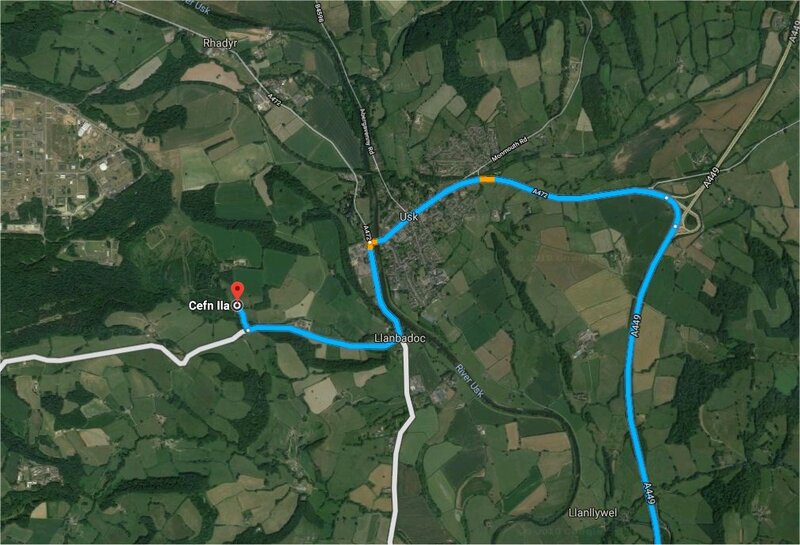 Turn off the M4 at the Coldra ,and take the A 449 to Monmouth road and turn off at the first junction to Usk. Go through Usk and turn left after crossing the bridge and take the first right opposite Llanbadoc Church. In approx 1/2 mile turn right at the bottom of a small hill by a lodge house on your right . It is signposted Cefn Ila. The car park is a few hundred yards on your left.